As your music studio expands, you may find yourself in need of good music teacher management software to help you manage your business more effectively. The ideal software solution can help to shave hours off of your work week and give you more time to focus on other areas of your business (like sharing your passion for music with your students). Finding the best software match for your specific requirements and budget can be a challenge, but a good way to make this process easier is to create a checklist before starting your search. Does the software streamline the scheduling process? Can the software grow with my business, or will I outgrow it in the next 5 years? Does the software company provide good support? Can the software be integrated with my website? Is the software user-friendly, or is it cluttered with unnecessary features that are not relevant to music studios? Is the software mobile friendly and can it be accessed from anywhere? Is it a cost-effective solution? Is there an API option? The following article will explore the above aspects in some more detail. 1. 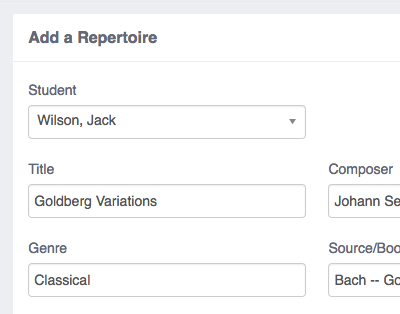 Does the music teacher management software include industry specific features? While there are a number of great general software solutions out there, you may want to look specifically for software that includes features specifically for music schools. These features can help you to run your business more efficiently and effectively. 2. Does the software streamline the scheduling process? Scheduling is an essential part of any teaching business, so it’s important to find a solution that can simplify and speed up this process. When assessing scheduling features, be sure to think long term as well. Will scheduling still be easy and efficient if you schedule thousands of lessons each month? 3. Does the software make it possible to automate certain processes? It’s definitely a good idea to opt for music teacher management software that offers a few different automation features. Some processes (like invoicing, sending lesson reminders, keeping track of package balances and calculating employee hours) are repetitive and automating them can free up a ton of time. Teachworks offers a number of automation features including an Invoice Autopilot Add-On. 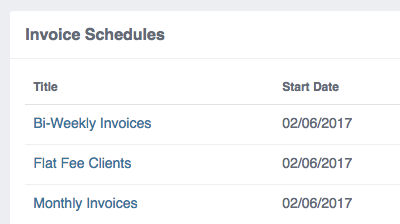 This great time-saver lets you choose invoice settings and these settings are then used to automatically generate invoices. We also offer automatic lesson reminder emails with fully customizable templates. 4. Can the software grow with my business, or will I outgrow it in the next 5 years? If you have plans to expand your business, it’s vital to choose software that is future proof. While it may be easy to schedule lessons, generate invoices and reach out to customers on a small scale, will it still be easy and efficient when you have to manage thousands of records in future? Outgrowing your software solution isn’t the end of the world – you can always find a new solution. However, it can be very inconvenient to import records, setup starting balances and coach employees and customers on a new system. Teachworks is highly scalable music school management software that will help you to simplify and automate your music studio – regardless of its size. Some of our clients add just a few student lessons to their Teachworks calendar each month, while others add several thousand. Whatever your business requirements, we have you covered. 5. Does the software company provide good support? When trialing different software options, reach out to the support team to see how responsive they are and pay special attention to their responses. Are their replies thorough? Do they provide links to additional resources? Do they invite you to ask additional questions or follow up if they may have misunderstood your requirements? In addition to how they respond to questions, you may also want to check if they have any self-help resources. Tutorials and a knowledge base with detailed step-by-step instructions are very useful – especially when you’re starting out and have a quick question. At Teachworks we’re dedicated to providing our clients with great support options. You can typically expect a response within 2 hours Mondays – Fridays from 9am – 8pm Eastern Time. In addition to being very responsive to questions, we also offer video and image tutorials to help you through the setup steps as well as a detailed knowledge base. 6. Can the software be integrated with my website? If you have a company website, you may want to consider software with features that can be integrated with your website. 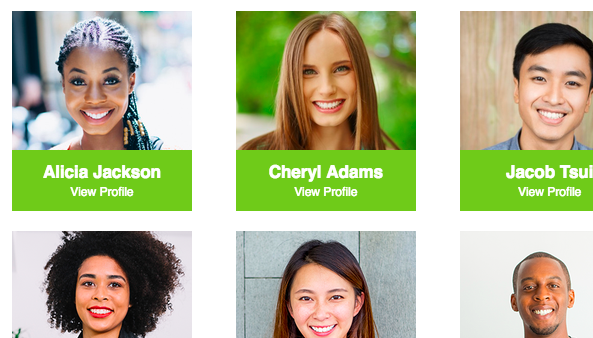 This makes it easy for customers to find you, learn more about your teachers, and ultimately sign up for your services without having to leave your website. 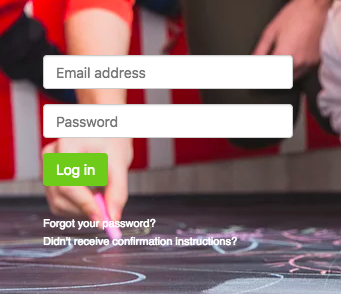 Remote Login Add-on – This add-on allows you to add a login form to your website to allow your clients and employees to easily login to Teachworks directly from your site. Website Booking Plugin – This add-on lets you embed a booking button directly on your website. New and existing clients can use this to book lessons, join open classes or join courses. The data entered on the booking form is used to automatically create a profile for new clients. Website Profiles Add-on – Our Website Profiles Add-on allows you to add a line of code to your website to display profiles for your teacher and staff using the data captured on their Teachworks profiles. Custom Forms Add-on – This add-on isn’t directly integrated into websites, but once you’ve created a form a URL is created. 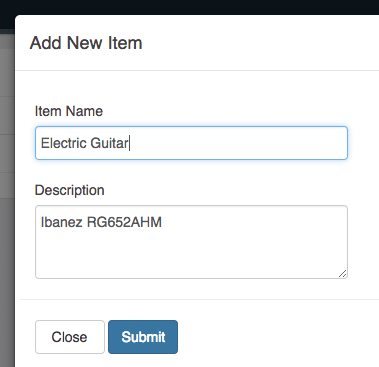 You can add a link or button to your website to direct people to the custom form. Profiles are automatically created in Teachworks based on the completed information. 7. Is the software user-friendly, or is it cluttered with unnecessary features that are not relevant to music studios? Opting for user-friendly software will benefit your company greatly since it will limit the time that you have to spend on familiarising yourself with the software and training your employees and customers. While a ton of features might look impressive, you may want to choose software that’s not cluttered with information and features you will never use for your business. Digging through menus and scrolling through a myriad of options will waste unnecessary time and will quickly become frustrating. At Teachworks we believe in simplicity, which is why our software offers a customizable interface. Our design allows you to only enable integrations and add-ons relevant to your music studio and ensures that the interface doesn’t become overly complicated. 8. Is the software mobile friendly and can it be accessed from anywhere? Your search for music teacher management software should definitely include looking for a mobile-friendly solution. Your teachers and customers are constantly on the go and it’s essential to provide them with a convenient way to check their schedules and other information. Teachworks is browser based and can be accessed from anywhere with an internet connection. The site uses a responsive design that adjust the layout based on the screen size of the device being used. When accessing Teachworks from a smartphone or tablet, the page layout will automatically be optimized based on the device. 9. Is it a cost-effective solution? Getting the best bang for your buck should be top of mind. Opt for software that offers fair pricing with little to no restrictions when you subscribe to a cheaper plan. Teachworks offers fair pricing and takes a “pay only for what you use” approach. We have 3 different plans to choose from and an additional fee based on the number of student lessons added to the calendar for the month. Each plan comes with full access to integrations and add-ons*. If you offer regular group lessons, you may also be eligible for a special discount. *Our API is only available to Growth and Premium customers. The reason for this is the additional support provided by our developers while custom solutions are being built. 10. Is there an API option? An API allows you to build additional custom integrations and software. It’s especially useful for music studios with very specific requirements as they can build these solutions on top of the music teacher management software they’re using. You can find more information about the Teachworks API in the following article: Teachworks API. We add additional endpoints to our API based on the feedback we get from our customers, so if there’s anything you would like us to add, please let us know! 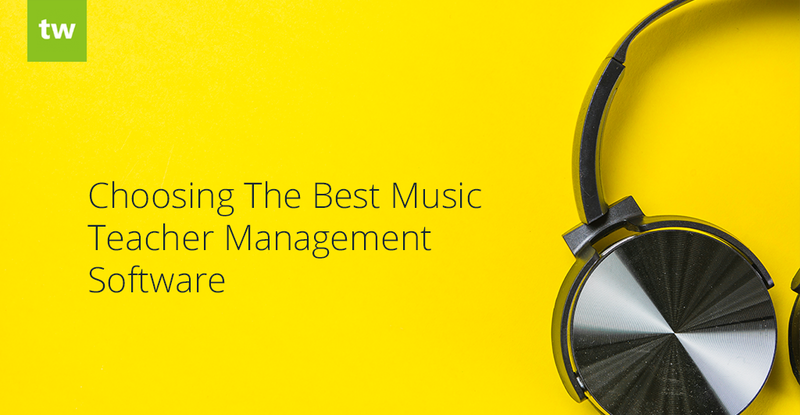 Music teacher management software can save you hours of work by optimizing the way you manage your music studio. This frees up more time that you can use to grow your business and build lasting relationships with your valued customers. Teachworks offers a number of features that are useful for all types of education businesses (including tutoring companies, driving schools and language schools) – this includes efficient scheduling, easy invoicing, effective communication and more. However, we don’t believe in a one-size-fits-all approach, which is why we also provide custom features specifically for music schools and teachers. Interested in using Teachworks for your business? Sign up for a free 3-week trial!